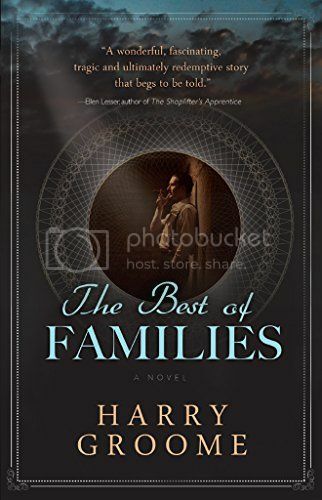 The Best of Families is the revelatory midlife memoir of a Philadelphia socialite, Francis Hopkinson Delafield. Uncomfortable with the mores of one of the city’s oldest families, Fran begins his story the summer after he graduates from prep school, when he dutifully marries his pregnant French Canadian girlfriend only to have her disappear within months of their marriage. Disillusioned and angry at the whole world, Fran quits college and enlists in the army. He is badly wounded in a war that no one seems to know or care about, and upon returning home from Vietnam, he is confronted with navigating the roiled waters of a second marriage while both his parents and his wives hold secrets that alter his life forever. As a Philadelphian I’ll answer that provocative question this way: My name is Francis Hopkinson Delafield Jr.—Fran to most everyone—and I was born into one of the city’s oldest families, a family of Social Register–registered blue bloods who were born on third base but thought we’d gotten there by hitting a triple. Without a doubt, we Delafields are a nest of good old-fashioned WASPs: unimaginative, out-of-touch, sporting Bermuda shorts, bow ties, and Capezios…well, the list goes on and on, but I think old Mr. Twain would get the picture. And, although it goes well beyond what he asked, of course we’re all products of private school educations. Every entitled one of us. What’s more, having learned how my connection with my parents—I don’t know the proper term for it: biological, cultural, spiritual, genetic?—has shaped my life, I understand why my sister, Heather, always says that everything that takes place in our parents’ circle of friends is tribal. And over time I’ve gotten a better grip on why it’s easier for them to stay rooted in the past than to face the changes the future might bring, certainly the kind of changes that I’ve forced my parents to accept. Heather also was the person who thought it would be a good idea for me to confront my past rather than sweep it under the rug the way I do most things. Write it all down, is what she said—hence this midlife memoir, or whatever you might choose to call it. She thought it might help me understand, maybe even help me forgive, a lot of what’s happened in our family, and from this I guess you can tell that, as uncomfortable as parts of this will be for me to tell, Heather thought it might heal some old family wounds, maybe even help me learn some things I needed to know. So to begin, a little bit of background. In 1941, just before my father went off to the war, we moved to 1212 Poor Richard’s Lane in Chestnut Hill, to a cinderblock-and-glass house that Dad had designed and which Mom and he have ever since referred to as “Twelve-Twelve,” as if it were a Newport mansion or a building of similar historical significance. With the 23 trolley clanking up and down its cobblestone main street, Chestnut Hill, both fashionable and unhurried in its pace, could easily have been a Hollywood set, even a Norman Rockwell Saturday Evening Post cover. It was there that Mom saw our family as members of the “impoverished aristocracy” and viewed herself as one of Philadelphia’s grandes dames. And, after the war, it was where she and Dad entertained their well-heeled friends, rolling back the worn rug in the living room and drinking and smoking and dancing into the wee hours of the morning to the big bands—Benny Goodman, Glenn Miller, Artie Shaw—as though they never again would have a care in the world. But Twelve-Twelve is more than just a place where my parents entertained. It’s where Heather and I grew into our teens, doing pretty much everything that was expected of us. Maybe even a little more. Heather was a high-honor student, president of her class, and captain of the field hockey team at the nearby girls’ school. I started at the local day school for boys but, after eighth grade, went away to the Episcopal School in New Hampshire, just like my grandfather, father, and Mom’s brother, my uncle Robert Peltier, had before me. I think that’s enough history and will begin my story in 1955. I was eighteen, had just graduated from Episcopal, and was on my way to a summer job in Quebec with my closest friend, Potter Morris. As you will see, this trip, as brief as it was, set the cornerstone for all that follows and altered my life forever. Please know that many of the revelations that I uncover here—several of which my family have jealously kept secret from the outside world—may come as a surprise to you because a number of them aren’t exactly what you’d expect of a family like mine. Harry Groome is the author of the novels Wing Walking and Thirty Below and the award-winning Stieg Larsson parody The Girl Who Fished with a Worm. Harry was a finalist for the William Faulkner Short Story Awards and has been nominated for the Pushcart Prize. His short stories, poems, and articles have appeared in dozens of magazines and anthologies, including Gray’s Sporting Journal, Ellery Queen’s Mystery Magazine, Descant, and Detroit Magazine. He is a graduate of the University of Pennsylvania and holds an MFA in Writing from the Vermont College of Fine Arts.